Thank you for reading, for the comments, messages and emails. Thank you for coming back. Thank you for being there! I hope 2017 has been good to you. 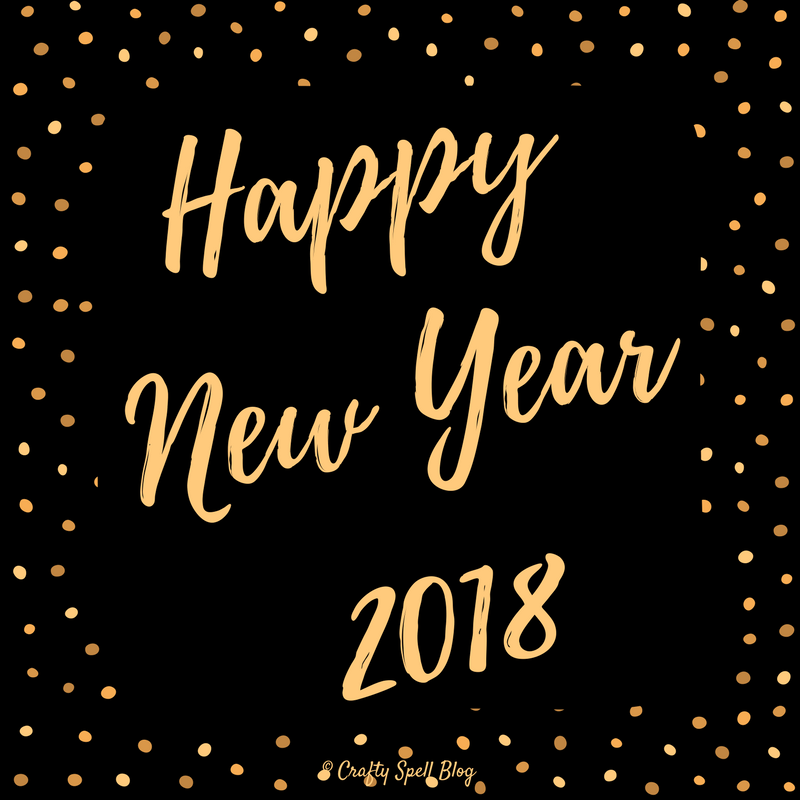 I wish you an even more awesome 2018! Here’s to peace, health and happiness in the new year! The most awaited craft and design event of the year is starting tomorrow in Tampere! 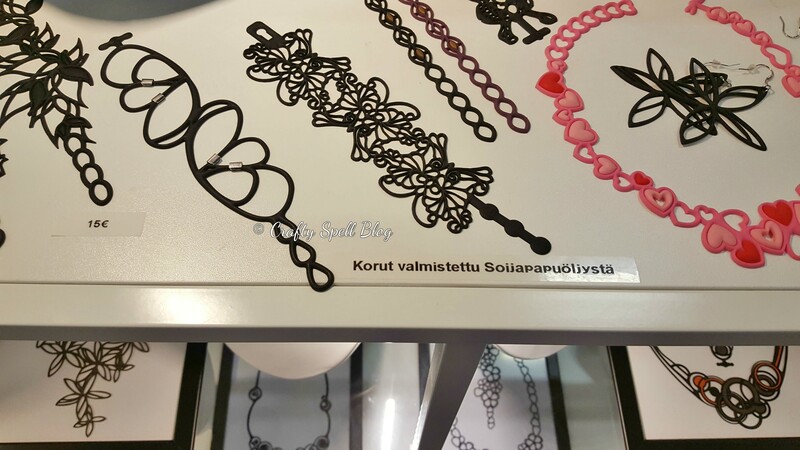 I had a chance to visit the Finnish Craft & Design / Suomen Kädentaidot in 2015 and I loved it (read about my visit here). This year, I will be attending it again with a blogger pass as a crafts blogger . Already, I am planning how to get the most of of my day and here are some tips for you too! 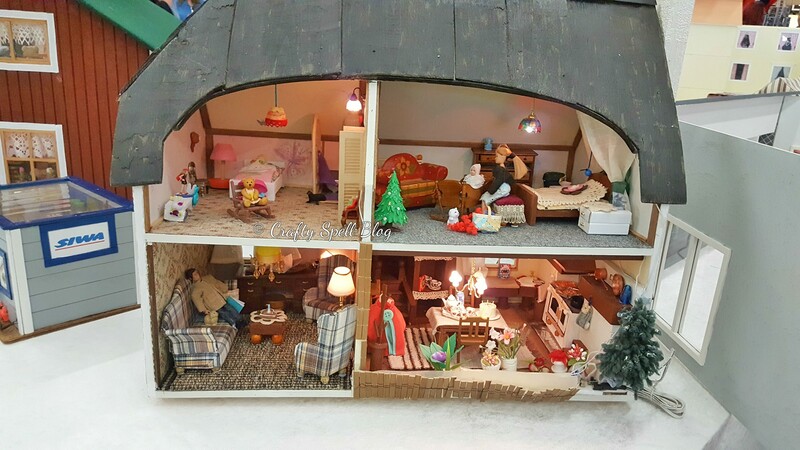 In addition, there are 2 other fairs – railway modelling & dolls house fair. One ticket for all. The website has clear instructions for arriving at the Tampere Exhibition & Sports Centre. To avoid huge queues, the best option is to get your ticket online in advance. There will be a LOT of people, so it tends to get pretty warm inside. Dress in layers and leave your extra stuff at the coat check (€2). Trust me, it will be much easier walking around the halls. Remember to take a water bottle & a snack. There are restaurants & toilets. Good idea to take short breaks & be hydrated. Make sure you don’t miss your favourite programs by looking at the timetable (in finnish) and planning the day accordingly. Here is the list of exhibitors. I also like a map of the halls, it helps navigate my way quickly. Many exhibitors take cash only. So, be ready, take cash before reaching the exhibition centre – it will save you time. I can’t wait for tomorrow! Excited to meet some lovely people & check out the shops. 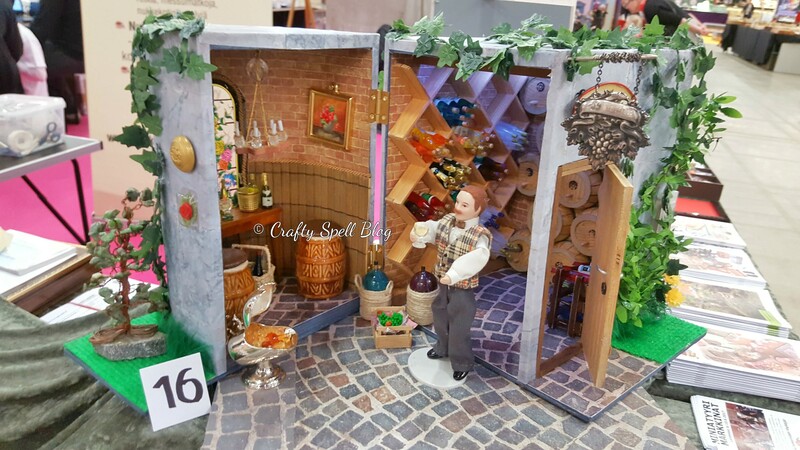 You can see updates from my visit on Instagram (see side bar) & follow me @crafty.spell there. I made a new scarf with a thick wool & alpaca blend yarn. Alpaca blends are my favourite yarn, they are so soft & warm. This scarf is very simple to make, absolutely beginner-friendly crochet! 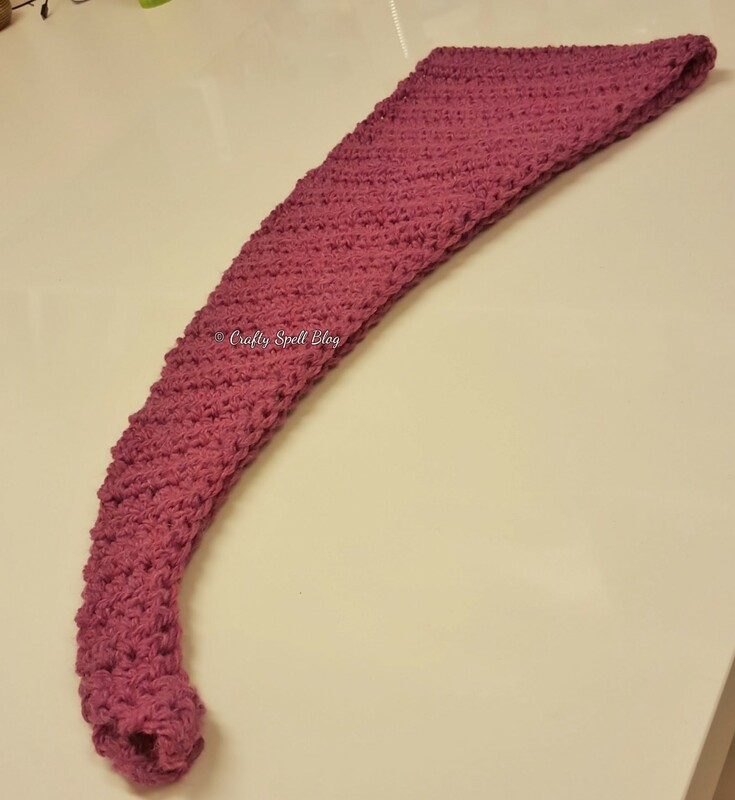 The scarf is made using half double crochet (HDC) . I started on one edge, increasing by 1 stitch every other row. When I got to the centre of the scarf, I checked the width against my neck, repeated the rows a couple of times & then started decreasing 1 stitch every other row towards the other edge. Make sure there are same number of rows on both sides of the centre of the scarf. 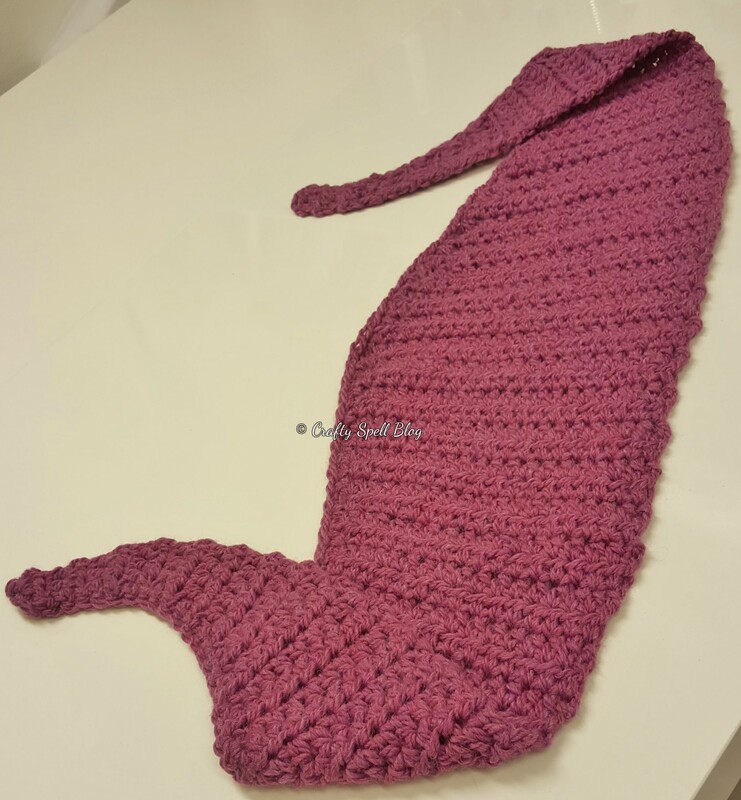 You can make this scarf with any yarn & hook and how big you want. The above black poncho/cowl is also made with Drops Andes. It is also lovely to wear & my go-to accessory in winter. I came across this crochet hat pattern a few years ago. After that, I saw it pop up on Pinterest often. 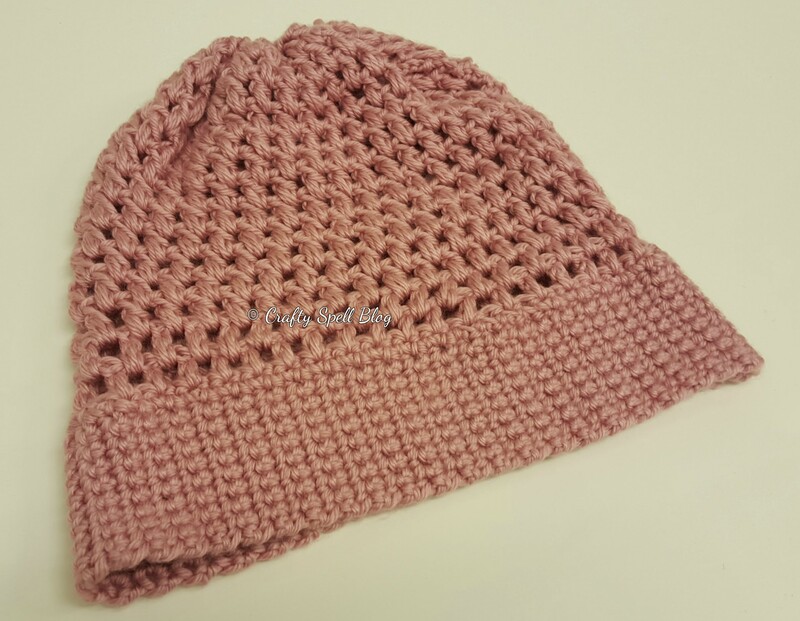 The pattern is super easy, puff stitch is a pleasure to work with & overall look is good! I used Red Heart yarn (first time), we don’t find it that easily here. The yarn was soft acrylic – I would prefer wool or alpaca. I didn’t make any major changes but I tried it on as I made the ribbing to make sure it fits me right. Let me know which is your favourite! Happy Autumn! Lovely and bright spring days! I was so busy working on my craft projects, travel, visiting craft fairs in between & attending other events. So, here’s a little update of what happened in the last couple of months. Look what caught my fancy. This light, delicate jewellery that looks like henna tattoo to the untrained eye is actually made from soya bean oil! How unique! Personally, I prefer the ear rings. 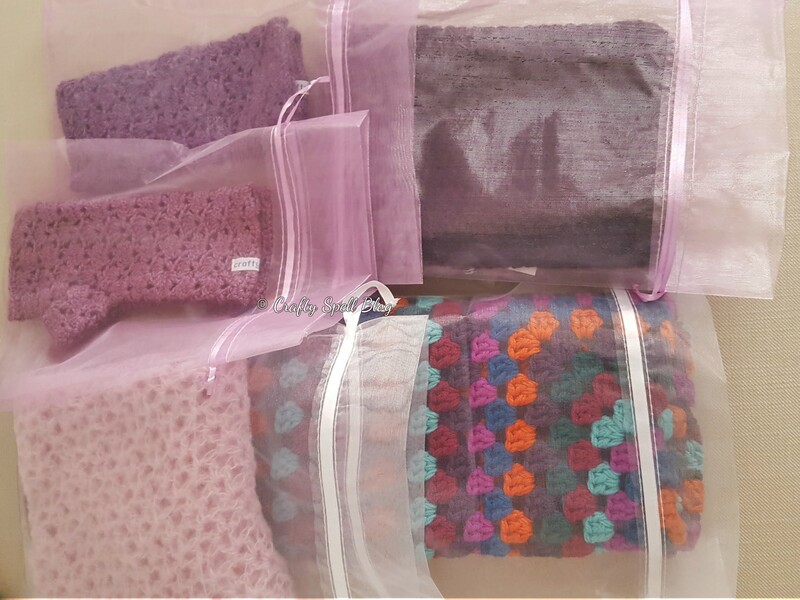 I crocheted a few scarves, wrist warmers & a throw as gifts. I packed them in organza bags. My first ever crochet project was using granny squares. After that, the only other project using granny squares is the throw above (lower right in pic).